"The miracle of the preserved word, in whatever medium—print, audio text, video recording, digital exchange—means that it may transfer into new times and new places." 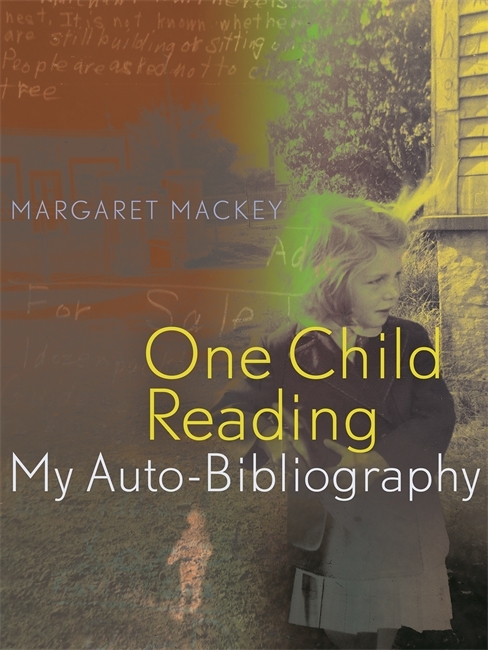 In a significant and unique contribution to our understanding of reading and literacy development, Margaret Mackey draws together memory, textual criticism, social analysis, and reading theory in an extraordinary act of self-study. One Child Reading reflects a remarkable academic undertaking. Seeking a deeper sense of what happens when we read, Mackey revisited the texts she read, viewed, listened to, and played as she became literate in the 1950s and 1960s in St. John’s, Newfoundland. This tremendous sweep of reading included school texts, knitting patterns, and games, as well as hundreds of books. The result is not a memoir but rather a deftly theorized exploration of how a reader is constructed. This is an essential book for librarians, classroom teachers, those involved in literacy development, and all serious readers. One Child Reading, in which a professor becomes a geographer of her own literacy, is hyper-local, yet there's something about the way Margaret Mackey describes the forces that affected her early reading as a white, middle-class girl in 1950s and 60s St. John's that will speak to readers across identity lines.... [T]his book marks an expert in her field bringing a career's worth of knowledge to material she knows best. A thorough and lucid examination of the self, aided by prolific illustrations and great page design.